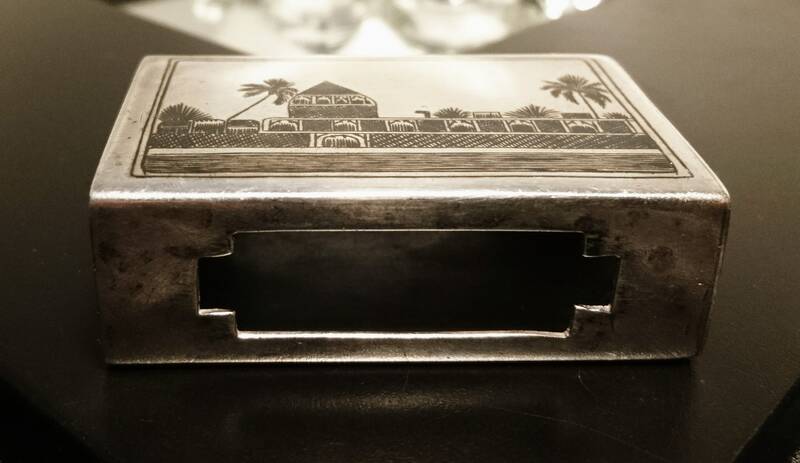 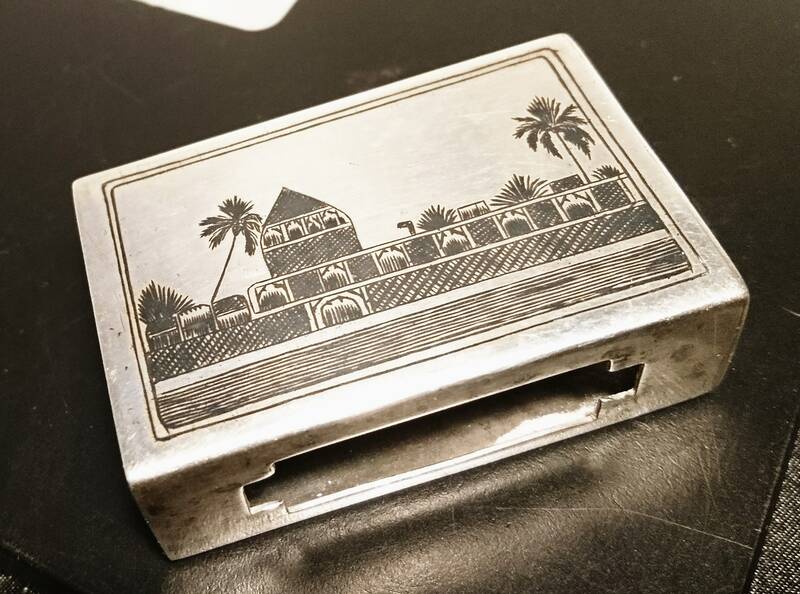 An attractive and artistic c1920's Islamic sterling silver and niello matchbox cover. 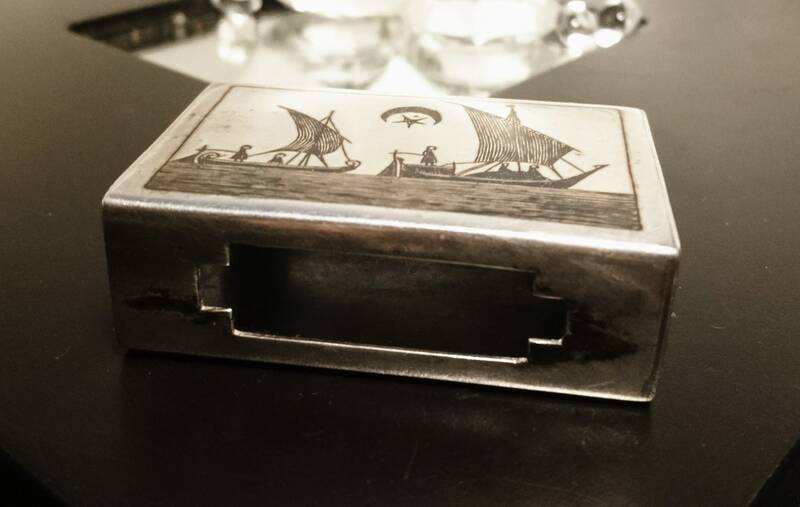 The silver case is lovely and shiny not marked but tests as at least 925 sterling silver, it has some incredibly detailed scenes in black niello on either side. 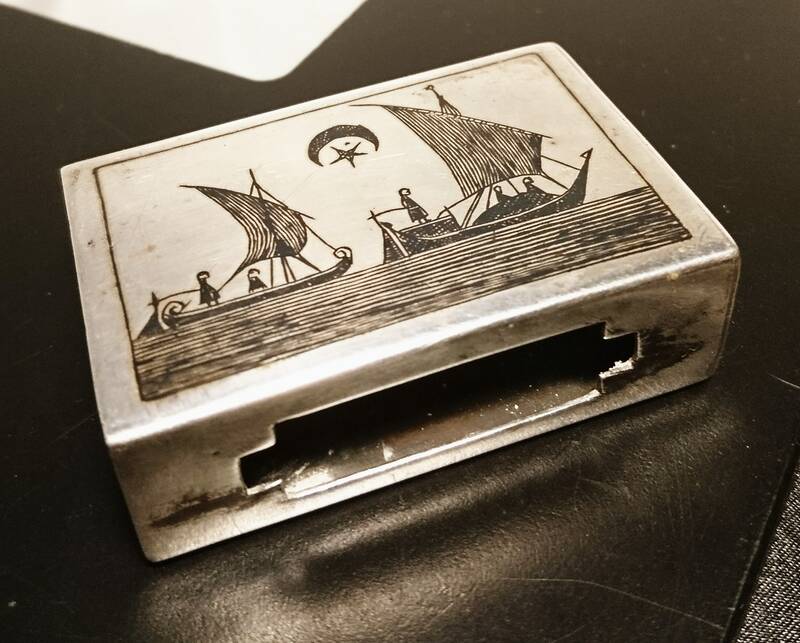 The one side features a scene at sea with people on boats, they could be fishing boats and the people are out catching the days fresh catch, the other side features a scene of land and traditional buildings. 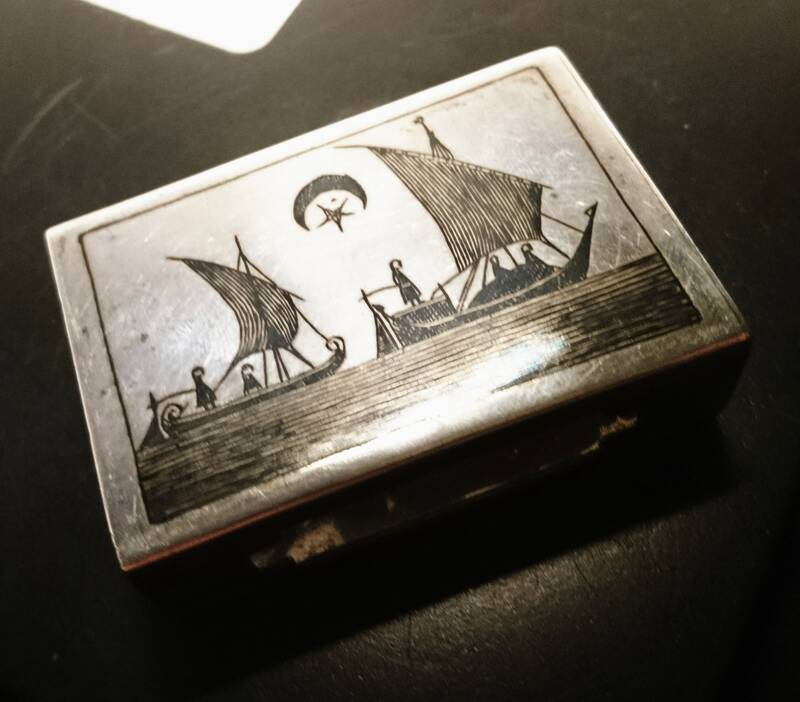 The matchbox covers were an idea piece for seamen and fishermen as they kept the matches protected from the elements, this one also has the theme of being out at sea and then back at land. 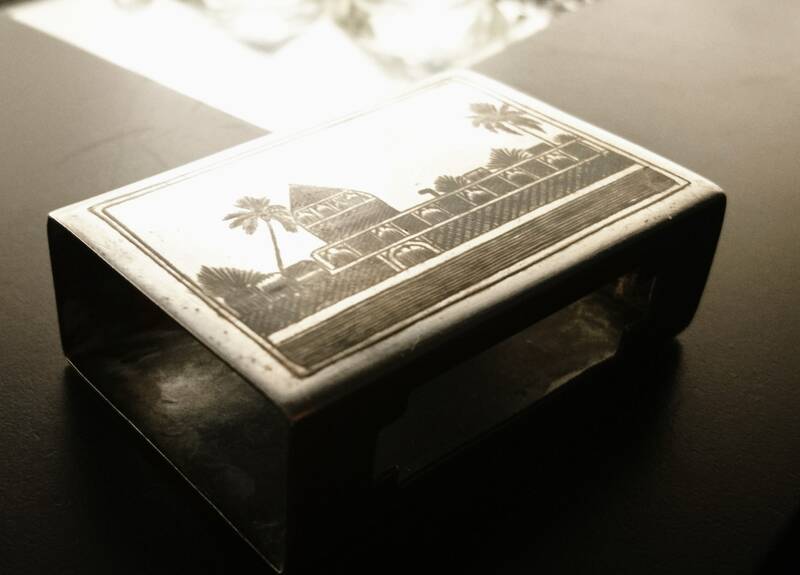 They were also popular tourist pieces and Islamic and Eastern niello was highly prized for the craftsmanship of the artists. 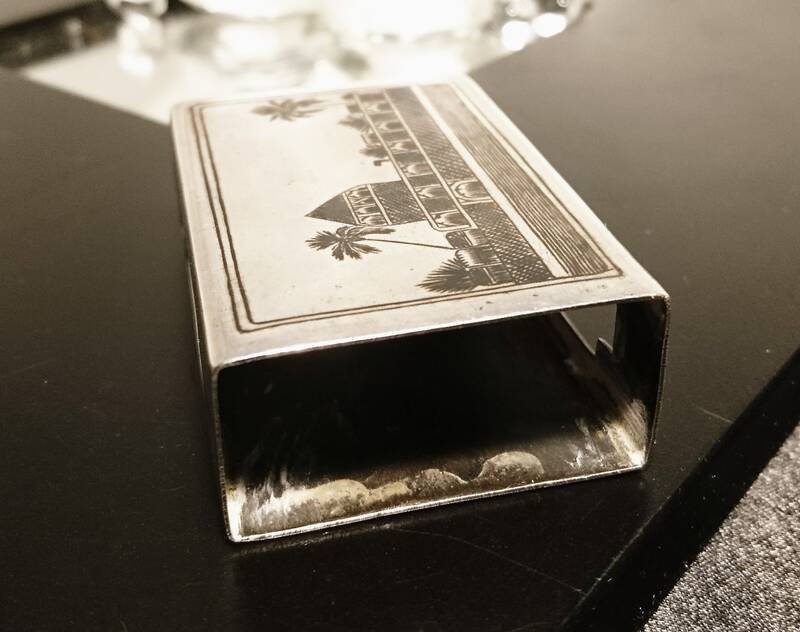 There is some wear to the sides where the matches are struck but commensurate with age and could be polished, overall in excellent condition. 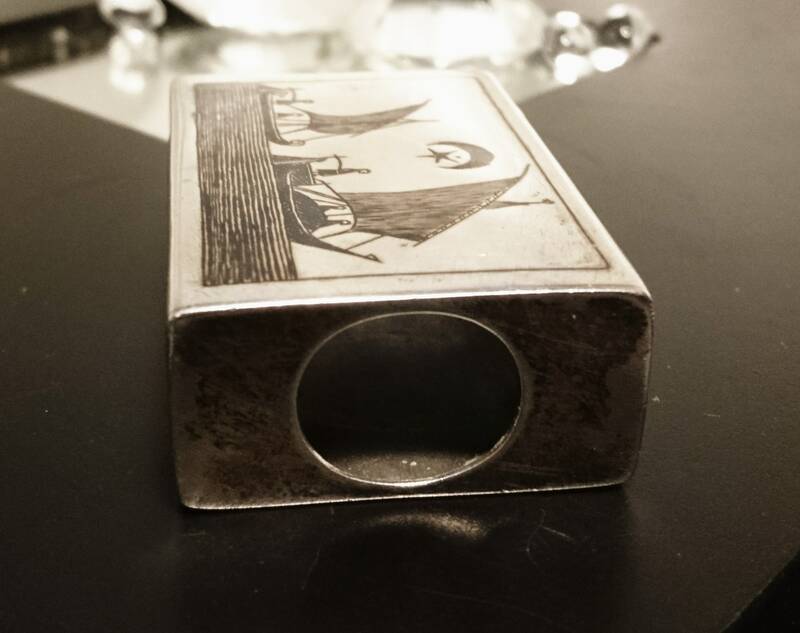 Approx 5cm width, 1.5cm height, 3cm length and 34.24 grams.